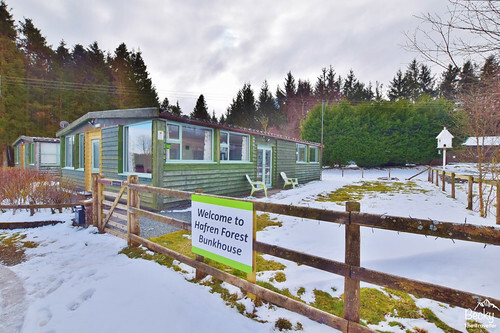 Hafren Forest Bunkhouse (REVIEW) – Where To Stay In Mid-Wales? Hafren Forest Bunkhouse was my accommodation for my recent trip to Wales. 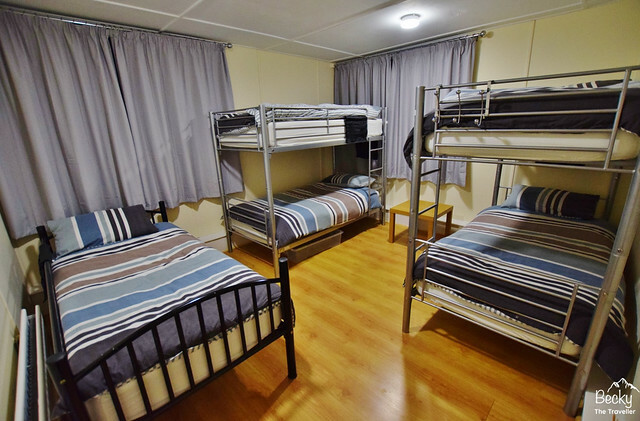 For those of you that haven’t stayed at or heard of a bunkhouse, it’s basically shared accommodation with bunk beds. Of course, bunkhouses come in many different varieties. I have now stayed at a few in the UK and this was one of my favourites. 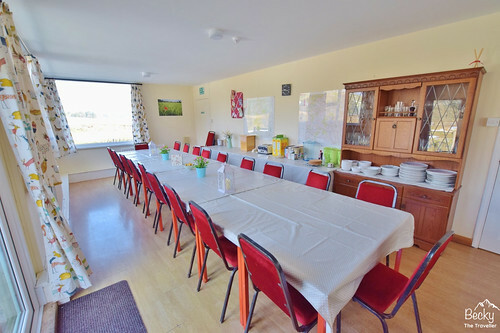 The spacious and open layout, careful attention to detail in the bunkhouse and the warm welcome at Hafren Forest Bunkhouse makes it the perfect accommodation for groups, families and even solo travellers like myself. Read my full review and photos of ‘Hafren Forest Bunkhouse’. Hafren Forest Bunkhouse is in the centre of Hafren Forest. Staylittle is in mid-Wales, although if you look on a map you’ll see mid-Wales covers a huge area. 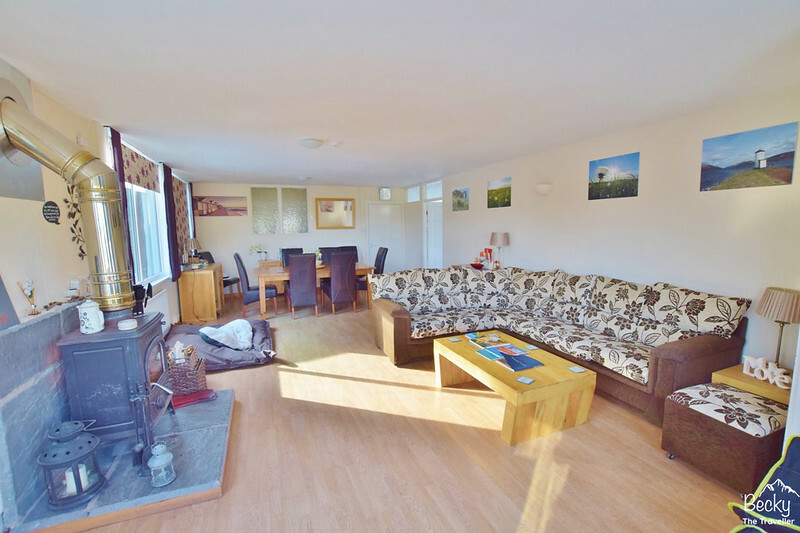 Driving south the bunkhouse is located 9 miles away from nearby town Llanidloes and heading north it’s 14 miles from Machynlleth, which is on the border of Snowdonia National Park. The Bunkhouse used to be a former weather station with the main lab area now the large kitchen diner. From the outside, the Bunkhouse looks rustic, a large green wooden building in the beautiful forest surroundings. The style fits the area perfectly and certainly doesn’t look out of place. Now run by Sarah and Darren, who recently took over the Bunkhouse last year. They have really transformed it into a cosy place to relax and enjoy the beautiful surroundings. It’s clean, tidy but has a homely feel, with quirky signs and plenty of pictures on the walls (some taken by Darren). There’s also plenty of books, maps and information about things to see and do whilst you are there. As the location is literally in the middle of no-where, the phone signal is limited (depending what network you are one). Vodafone and O2 have a good signal and you’ll be able to use your 3G or 4G but if you’re on EE network like me then there is no signal in the bunkhouse. This also means that the bunkhouse doesn’t have wi-fi. A welcome chance to have a break from technology, which can only be positive when there’s so much to do outside. Unfortunately, I’d written down the wrong postcode for the bunkhouse so initially ended up on the other side of Hafren Forest. A quick message to Sarah via their Facebook page and I was back on track. Yes, the postcode above is the right one! A single track road leads up to the bunkhouse, it’s well signposted so you can’t miss it! My trip was mid-March, but the UK had experienced a crazy snowfall the day before. I was worried that my (none 4×4) car wouldn’t make it but after messaging I had confirmation that I would be ok without 4 wheel drive. Apparently, this is the worst it’s been in over 10 years. But it made for some pretty photos on my trip so I didn’t mind! Parking directly outside the front gate (there’s more parking around the back) I carried my bags into the bunkhouse via the side entrance. There was a lovely welcome note, with two hot cross buns, a very lovely touch after a long drive. Sarah and Darren arrived not long after me and were the perfect hosts making me a cup of peppermint tea. You must all know by now how I love my peppermint tea #notsponsored haha. 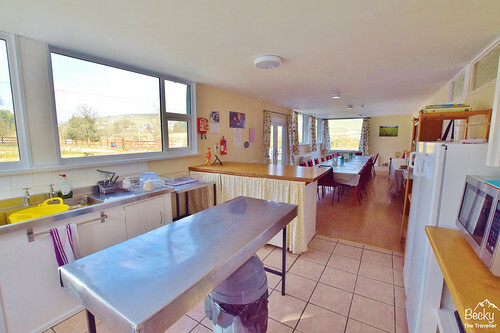 At Hafren Bunkhouse, you have the option to add breakfast (continental or full cooked) and dinner. Home-cooked and hearty meals made by Sarah and Darren. I’d opted for dinner on my first night. Who wants to cook after a long drive, not me! I’d provided Sarah with my dietary requirements (basically eat everything and anything haha!) So my first night I was tucking into a delicious cottage pie, with amazing cauliflower cheese and green beans, oh and lots of gravy. I was staying in dorm room number 5. A room with 5 beds, two bunks and a single bed which I opted for. All the beds are made up in matching duvet sets and the room was very clean and tidy. Well, that was until I moved all my bags in. I somehow seem incapable of packing light when I’m travelling in my car haha. There are handy storage pouches on each bed for you to put your phone or other personal belongings in. As well as under the bed storage but if you have a bigger bag it probably wouldn’t fit. The room is minimalistic but that’s exactly what I would expect from a bunkhouse. The only thing that there could be more in the room is the electric points. Although, this is something on Darren and Sarah’s list. I can’t believe how much they have done in such a short time so it’s likely they won’t be far behind! My overall thoughts on Hafren Bunkhouse are all positive. 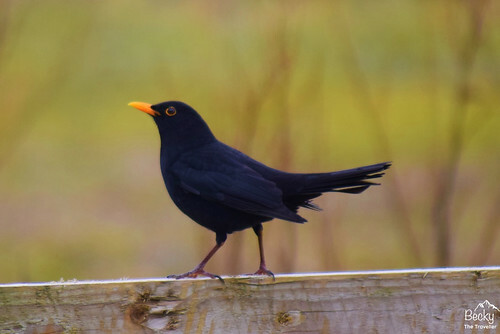 As a solo traveller, it was lovely to have Sarah and Darren’s company in the evenings. They also provided me with handy tips and advice on where to go whilst I was there. Darren even gave me a couple of colour printed maps that I could use whilst exploring the forest. One of the highlights of staying in the bunkhouse was the location itself. Looking out the windows you either have the beautiful forest or roaming hills all around you. 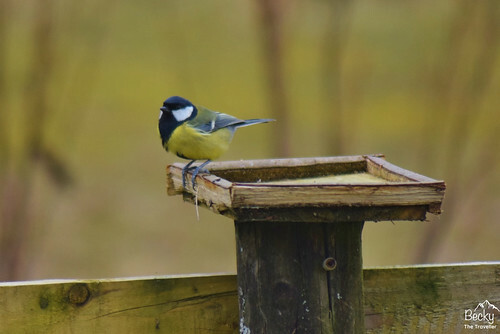 Also, a bird table positioned outside the kitchen window provided plenty of entertainment for me watching the birds feeding whilst having breakfast. 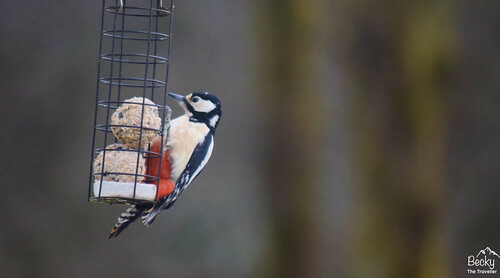 The very friendly, but shy, Great-spotted woodpeckers were regular visitors. Along with other smaller birds and I was even lucky enough to see a Red Kite fly very low and directly above the bunkhouse. 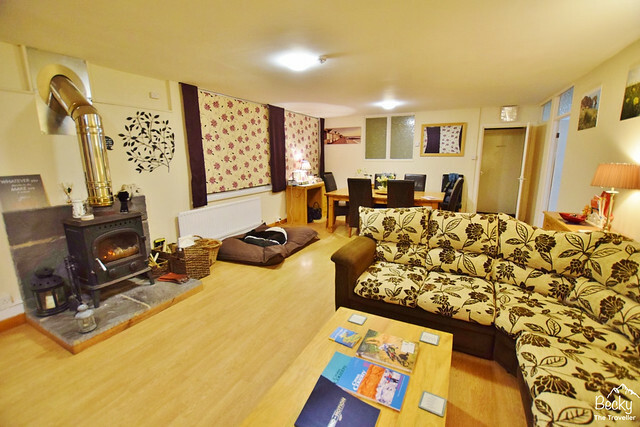 Would I stay at Hafren Forest Bunkhouse again? Yes, the bunkhouse was fantastic. 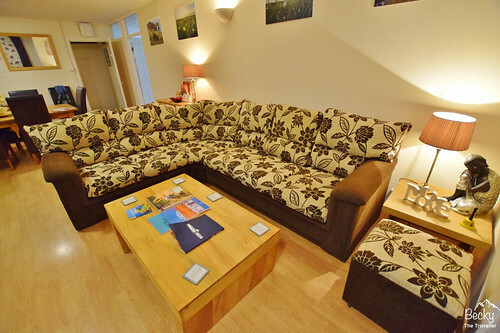 It is a great location for exploring Hafren Forest and also the bedroom and shared rooms were lovely. As were Sarah and Darren as hosts and Maisy the dog (a very loving and friendly dog). 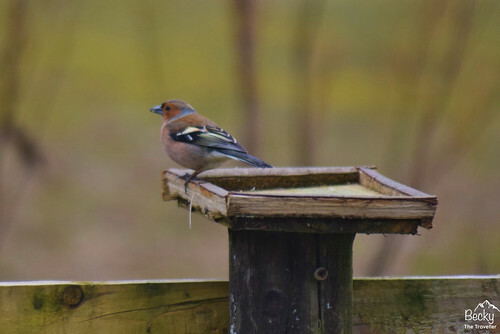 *I was a guest at Hafren Forest Bunkhouse. However, all views and opinions are my own.